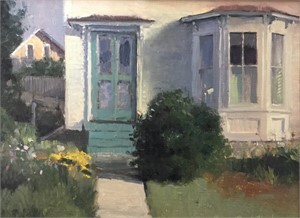 Neal Hughes Neal Hughes is a graduate of The Philadelphia College of Art (University of the Arts) and resides in the historic town of Moorestown, New Jersey. 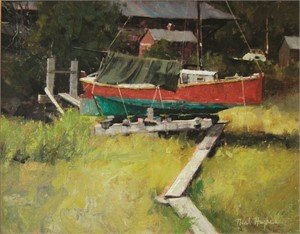 A former illustrator, Neal has been painting professionally for over 30 years. 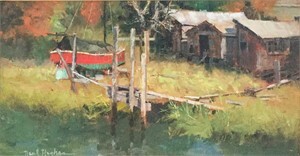 His work has been accepted into many local and national juried exhibitions such as the Oil Painters of America National and Regional Exhibitions. 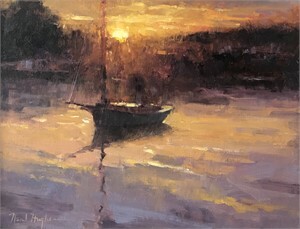 His work has also been juried into the International Marine Art Exhibition at the Gallery at Mystic Seaport, the ARC Salon and the National Exhibition of The American Society of Marine Artists.